Flooring: 10” wide heavy wire-brushed European Oak, custom color, oil finish. Warren Christopher also custom-crafted the stair treads to match the flooring, as well as custom railings, banister and baseboards. Description: A private residence located in the charming enclave of Three Arch Bay in Laguna Beach, California. 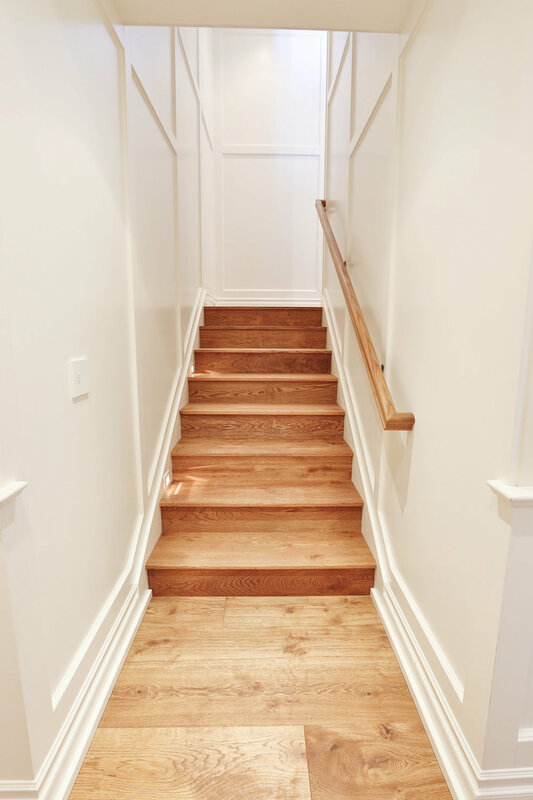 The homeowners chose Warren Christopher to replace their existing dark, high-gloss Brazilian cherry floors with gorgeous, custom-colored, heavy wire-brushed European Oak flooring—and to create custom-crafted stair treads to match, as well as custom railings, banister and baseboards. They chose wisely—the house went from dark and dated to a stunning, light and bright seaside masterpiece. Replacing the floors gave the house an entirely new life. 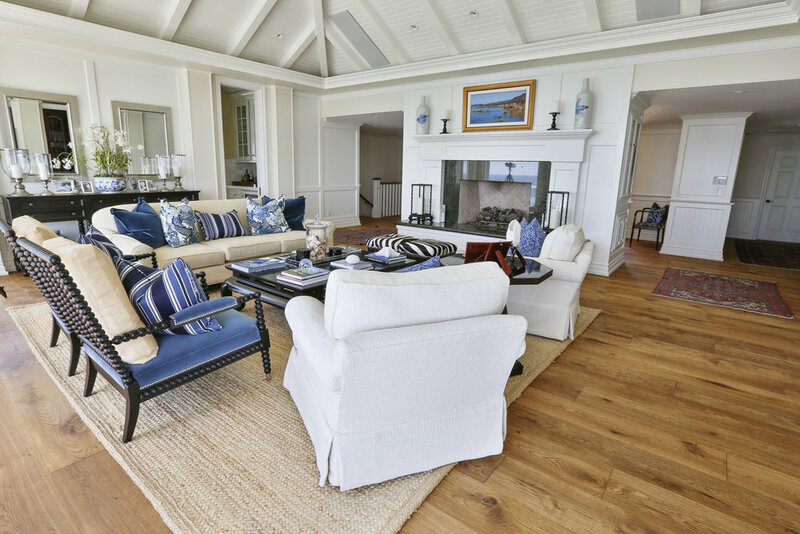 Warren Christopher fine hardwood wide plank flooring and refinish services are the perfect foundation for any home or design project—either new construction or a remodel.